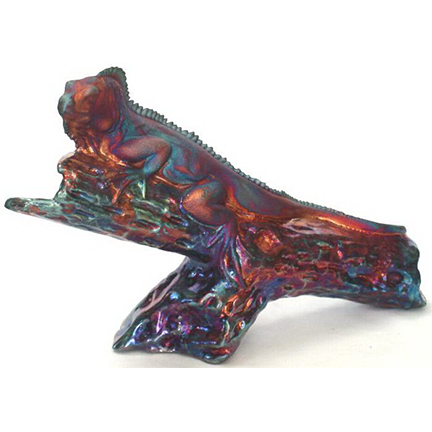 (Florida) Outstanding colors and patterns over the whole piece are the trademark of Raku Art. 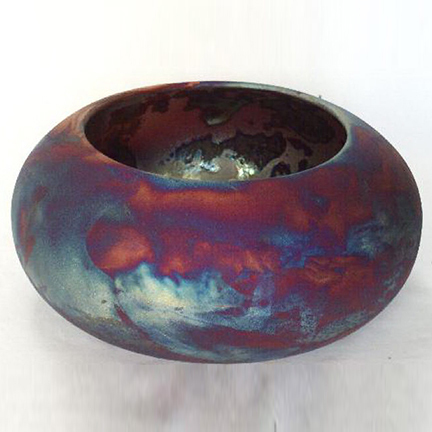 William K. Turner has formulated a copper matte raku glaze that is one of the best you’ll ever see. The velvet shimmering colors range from copper reds, cobalt blue, and purples to the lighter pastels of teals, pinks, and golds. These pieces are porous and cannot hold water but a liner could be inserted for use with a wet arrangement, not that it's necessary - they are beautiful just standing on their own. Available at our Oakland and Burlingame locations.